I made this loaf for my dear friend Zia, she has just shifted to her new house and is still living out of suitcases and her whole world is extremely chaotic right now with all the plumbers and carpenters running around the place, but the one thing that she really is excited about is her terrace garden both the husband and wife are really working hard to get it finished, so i thought i should go and help them today in any possible way that i can but i did not want to go empty handed i wanted to bake something for zia, something that she would like to nibble on with her tea after a hard days work. The loaf is really simple to make but is packed with flavours, the bananas keep it real moist and the orange zest and juice add so much more flavour and you can taste orange, smell orange it is just good. When you take a bite you don’t only taste bananas but u get that undertone of orange flavour, its so soft and the chopped hazelnuts add crunch and are more than welcome. The honey makes it all the more healthier and tasty. For the best banana flavour and a really good, moist texture the bananas have to be very ripe and the loaf definitely tastes better the next day as with all banana breads. 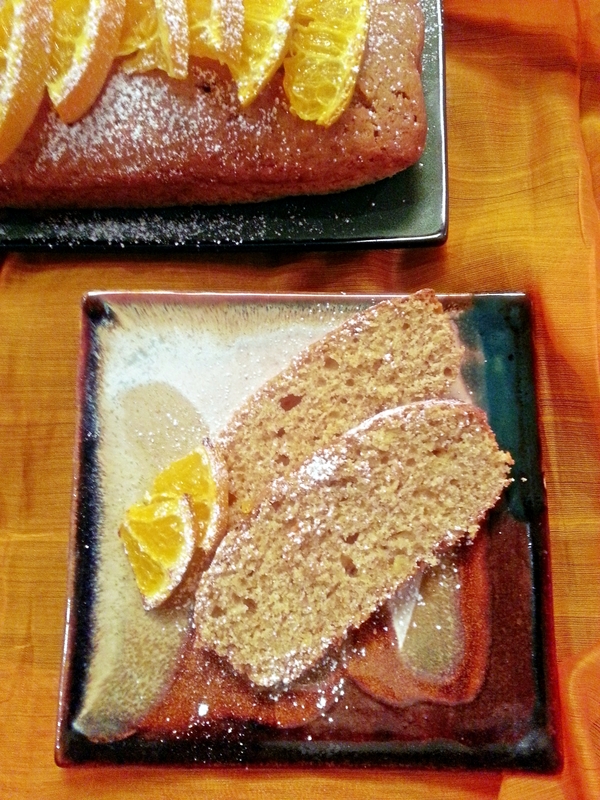 If you plan to keep the loaf for more than two or three days, don’t decorate it with orange slices instead brush the loaf with honey and sprinkle with hazelnuts. Preheat the oven to a 180 degree centigrade brush a loaf pan with oil and line the bottom with parchment paper. In a large bowl sift the flour with the baking powder and spice stir in the hazelnuts and set aside.In a small bowl Peel and mash the bananas, add the oil, egg, honey and the orange zest and juice and mix it thoroughly. Stir the wet mixture into the dry ingredients and mix thoroughly. Spoon into the prepared pan and smooth the top. Bake for 35-40 minutes or until firm and golden brown and a toothpick inserted into the centre comes out clean. Let the cake cool slightly ( leave it in its pan for 10 minutes ) then turn it out on your wire rack and cool completely. 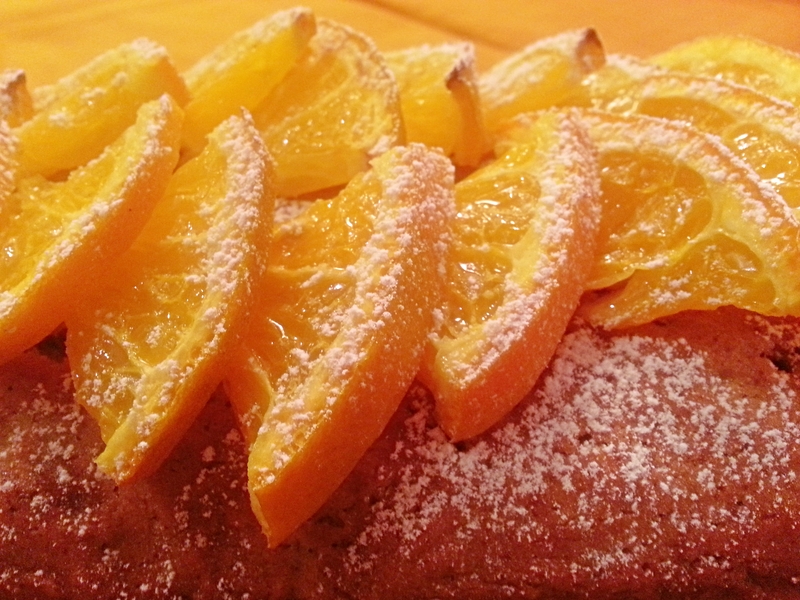 Sprinkle the orange slices with the confectioners sugar and broil them until golden, use them to decorate your loaf. Umm I never do anything with my old bananas, even though I know a banana loaf is so simple. 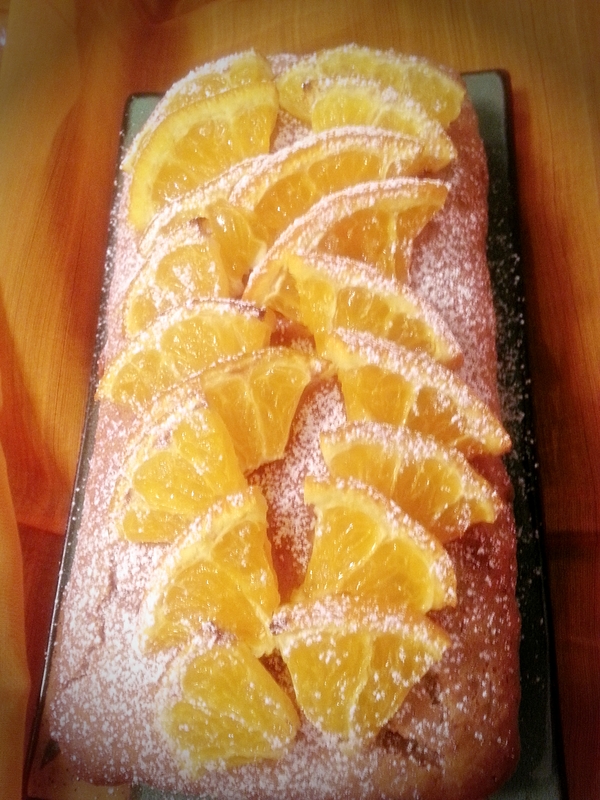 Im happy to see you added orange to it, makes it a much more special recipe. I think the smell of orange zest is one of my favourite scents in the world. I can smell it coming out of the oven.